10th REGIONAL TAX CONFERENCE, April 15th, 2015 Organized by AmChams of CEE (Czech Republic, Hungary, Poland, Slovak Republic) hosted by AmCham Hungary in Budapest. Intertax representative took part in the conference. One of major topic of the conference was: Base Erosion and Profit Shifting. 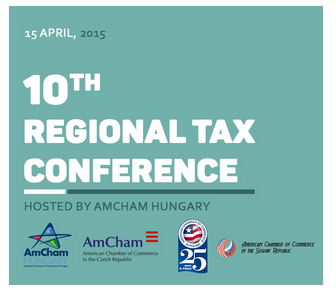 Please see here the official Tax Conference Agenda.